Blade Runner: The Final Cut (BD) Just $4.75 Down From $15! You are here: Home / Great Deals / Amazon Deals / Blade Runner: The Final Cut (BD) [Blu-ray] Just $4.75 Down From $15! 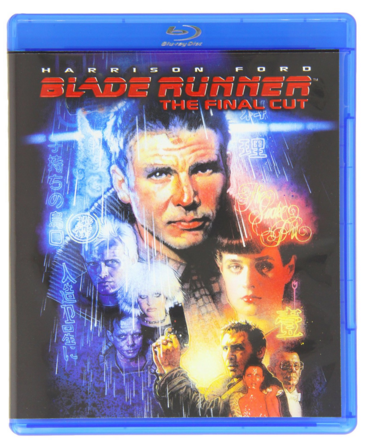 Blade Runner: The Final Cut (BD) [Blu-ray] Just $4.75 Down From $15! Head over to Amazon and score this great deal on Blade Runner: The Final Cut (BD) [Blu-ray] for just $4.75 down from $15! Get yours now while it lasts! Visually spectacular, intensely action-packed and powerfully prophetic since its debut, Blade Runner returns in Ridley Scott’s definitive Final Cut, including extended scenes and never-before-seen special effects. In a signature role as 21st-century detective Rick Deckard, Harrison Ford brings his masculine-yet-vulnerable presence to this stylish noir thriller. In a future of high-tech possibility soured by urban and social decay, Deckard hunts for fugitive, murderous replicants – and is drawn to a mystery woman whose secrets may undermine his soul.